Customer Satisfaction Resources for the 21st Century. what you don’t know about your customers can hurt you !!! 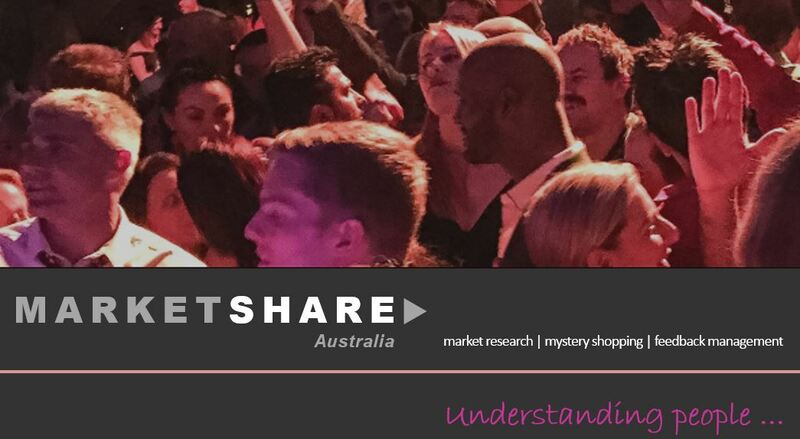 Marketshare Australia is a full-service market research agency. We provide both quantitative & qualitative research. Our focus is on understanding people …………. what they love and hate, what they want versus need, what they desire ….. what makes them happy or sad, what delights or makes them angry. By understanding people and the way they think and behave – you understand organisations and businesses both large and small, clients and customers alike. Behind each decision and action is a human being, a person – making a choice. It’s as simple as that – listen, understand, address. Depending on what you are trying to understand and learn, we will use one or more of the above methods. Want to be a mystery shopper? Marketshare Australia Pty Ltd © 2019. All Rights Reserved.